According to Cicero, if you have a garden and a library, you have everything you need. I’m not sure about the garden part (I’m happy enough just to be a crazy plant lady in an apartment), but I’m with him on the library. I suspect that Cicero meant your own library, but as we’re not all wealthy ancient Roman statesmen, most of us just have to rely on public libraries. Thankfully, Sweden is blessed with a number of those. Understandably, the library offering in the capital is extensive, even for those who struggle to read in Swedish. Stockholm’s central library (Stadsbibliotek) has around 410,000 books, and a great number of these are in English. It is also neighbour to the International Library, where you can borrow from among 200,000 books in more than 100 different languages. Meanwhile, Gothenburg has just opened Världslitteraturhuset, a library focusing on languages other than Swedish. 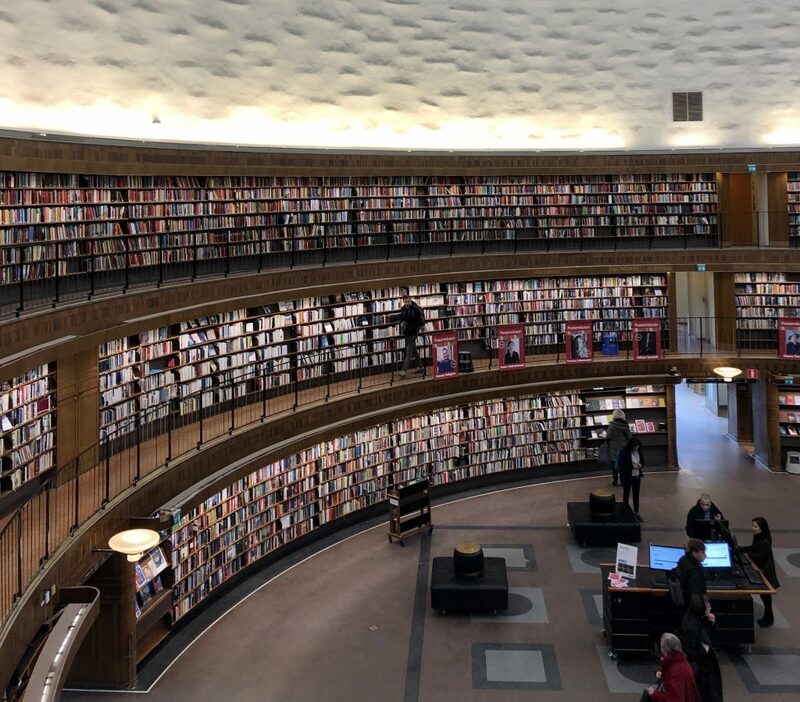 Gothenburg’s library network covers almost 30 different locations that residents can borrow from, while Malmö has around 15 locations across the city, and Umeå has almost as many. As well as being able to borrow books in many languages from the libraries, you can also take advantage of the calm and tranquillity they offer. Stockholm’s Sture library, a pearl hidden away in Östermalmstorget tunnelbana station of all places, is one of my favourite spots to sit and write. There is something peaceful about perching in a spot above the hustle and bustle of rush hour and looking down on commuters go by as you read or write. Other Stockholm libraries have dedicated study areas or even group rooms that you can book. And many libraries in Gothenburg, Malmö and Umeå provide similar services. But did you also know that many libraries offer language meetups? In Stockholm, Gothenburg and Malmö, these are called Språkcafé and are held in Swedish, English and a number of other languages. Malmö and Umeå both also provide advice and help to those who have recently moved to Sweden. Umeå also has a range of books in different Sami languages, Romani and Yiddish. 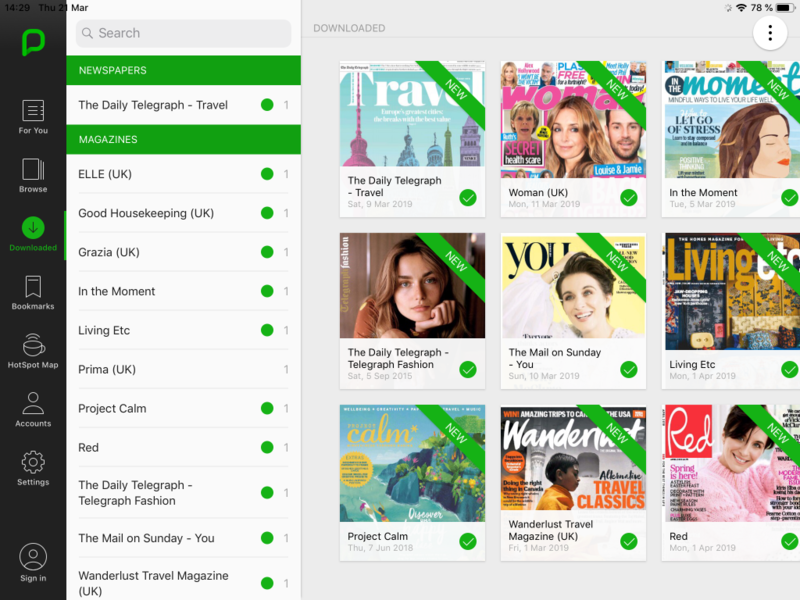 If you love your weekly or monthly magazines, then you can download the latest issues via the Pressreader app when you’re logged onto the Stockholm library network and continue downloading for 72 hours after. Anything you download is available on the app for three months. And when you log back on to the library’s network, your 72 hours start all over again. And this isn’t just a perk for those in the capital; libraries across the country offer this service on Pressreader. Of course, Sweden’s libraries are also brilliant for children. In Stockholm, Stadsbibliotek has an extensive children’s library, with hundreds of books in both Swedish and English, while some others in the city have a strong children’s profile, including Bredäng (dedicated to children and youth each afternoon) and Luma, in Hammarby Sjöstad. 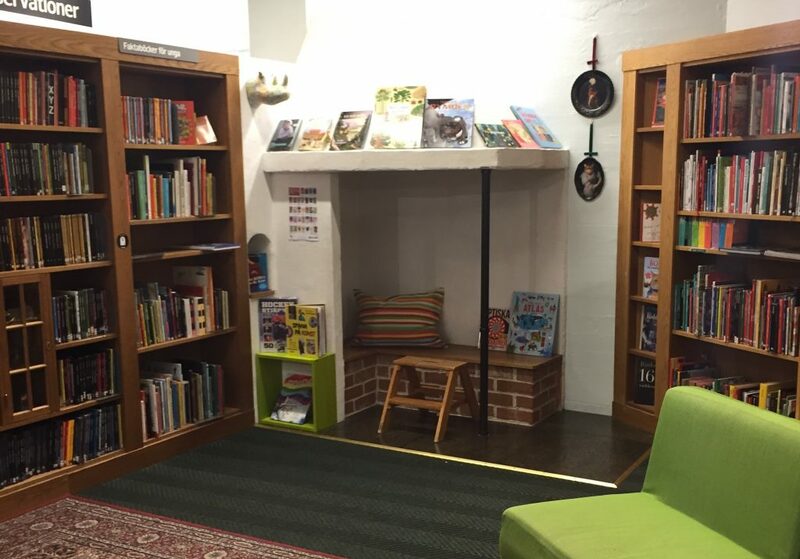 But even a tiny library such as Sture has a cosy children’s area, with beanbags and miniature armchairs. While most libraries provide some form of storytelling for children, those in Gothenburg can take advantage of Guldheden library’s children’s room, Hammarkullen’s book club for children aged 8-12, or the “sagayoga” (combined storytelling and yoga) at Hjällbo library. In Malmö, the library in Oxie hosts a chess club twice a week and Husiebiblioteket offers a book club for 9-12 year olds. Likewise, Grubbebiblioteket in Umeå has a book club for school-aged children (from Grade 3). School children are also catered for with homework help (läxhjälp) at many city libraries in Stockholm, Gothenburg and Malmö. I also have to give a special shout-out to Gothenburg for organising a “beach library” each summer at Sillvik beach. Although I’ve focused here on city libraries, folkbibliotek (run by local government) can be found across the country, under the guidance of Kungliga Bibliotek (the National Library of Sweden). Its goal is for all public libraries to offer a range of services that promote reading and literature, with a particular focus on children. I think there’s enough on offer from Sweden’s libraries to keep even Cicero satisfied.